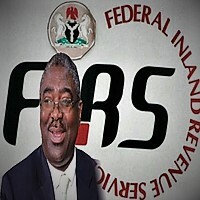 The Executive Chairman of the Federal Inland Revenue Service, FIRS, on Monday said soon, Nigerians might begin to show evidence of tax payment before obtaining their passports. Tunde Fowler said this at the 136th meeting of the Joint Tax Board which had the theme: “Increased Inter-Agency Co-operation to Enhance Tax Compliance and Optimise Revenue Collection” in Abuja. 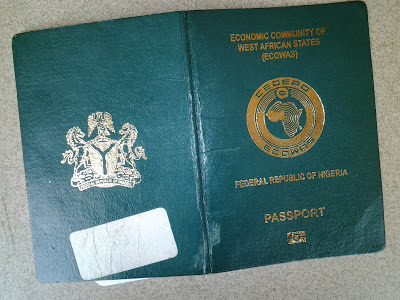 “We did take a position and I believe it would be implemented in the very near future that before you get any services from the immigration department: renewal of passports etc, you’d have to show that you are a tax payer. “These things are normal all over the world, In an effort to serve Nigerians and Nigeria better. “People believe that payment of tax is a burden and I’ll repeat that you only pay tax on income and profits. He said the FIRS set a target to increase the individual taxpayer data base by 10 million by December 31. “I’m glad with our co-operation; we’ve been able to attain 30 per cent of that. We’ve been able to get three million individual taxpayers across the nation. “I’d like to congratulate Kano State for leading the pack by increasing the database by 944,000 followed by Lagos with 306,000 then Kaduna and Plateau,’’ he said. The Corps Marshall of the Federal Road Safety Corps, FRSC, Boboye Oyeyemi, lamented that the FRSC was being owed N700 million for number plates production. The Chairman of the Abia State Board of Internal Revenue, Udochukwu Ogbonna, urged the revenue generating agencies to co-operate digitally to ensure success and curb corruption. Also, the Chairman of the Edo State Internal Revenue Service, Oseni Elamah, said “the FIRS should have a digital one-stop-shop accessible to all partners’’. Some revenue generating agencies on Monday met in Abuja to curtail loss, stop corruption and increase proceeds to government coffers in 2017. The event brought together all states internal revenue service chairmen and the bosses of the Nigeria Customs Service, and the Nigeria Immigration Service.